machf have been busy again working on getting the levels from the early Trespasser builds to work with the retail engine. He has now fixed the .scn and .grf file from the early levels to properly work with the retail engine (except for some issues with Build 22’s IJ and TestScene level (for now)). You will still require to convert the .pid/.swp using the Pid reWrite tool(see below) along with the TPAupdate tool (see below) in order to fully experience the levels. These patches can be found in our Patches download section. Please see the description of the downloads for information to get them working properly. This new TPA Player version now allows you to play any official TPA from any of the builds (22-117) we currently have. machf have updated his Sounds Name Listings to include all the known ones. Currently there are around 50 sound names still to be discovered across all our current builds. You can find these in our Documents section. Last year our forum member Draconisaurus have done a few really cool stop-motion videos with dinosaurs in them. They are worth checking out and you can find them at his YouTube channel. For the past few weeks Rebel and machf have worked on a simple drag-and-drop tool to allow anyone to easily convert early v120 Pid’s into v130 ones (used by retail). 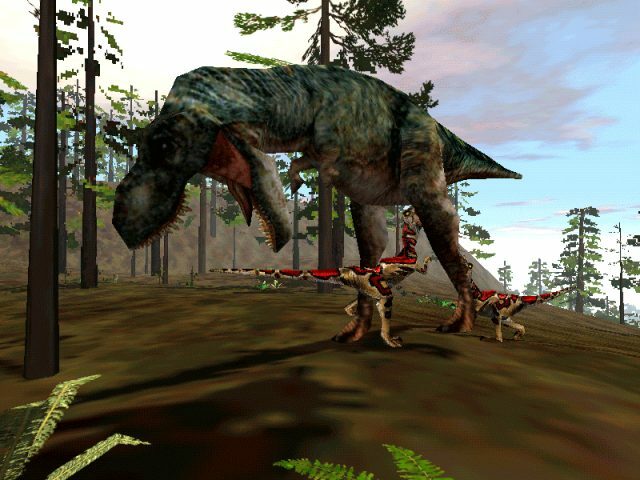 Presented for the first time are the entire available recordings of Richard Attenborough’s performance of John Parker Hammond from the DreamWorks Interactive PC Game Trespasser- The Lost World: Jurassic Park. These were the same files featured in Jurassic Time: The Memoir Of John Parker Hammond- The Anniversary Edition, an audiobook-style presentation that included music from the game edited to carry the story. Most of the files are sourced from an early alpha version of the game that featured the best quality available. The retail version of the game featured degraded quality and dreamlike echo effects on the voice, whereas these are mostly the untouched recordings with fantastic sound. Some of the dialogue remains edited, in stereo, with minor atmospheric effects. A set of dialogue that reads an old diary entry sadly remains in intentionally degraded quality. Also included are a few alternate versions of the dialogue and some additional dialogue selected from the DreamWorks Interactive PC Game Chaos Island- The Lost World: Jurassic Park that is hard to come by (and sadly in bad quality). The files are all organized in folders in the order done for The Anniversary Edition. It should be noted that in the game files themselves there was no storytelling order at all; just a scattered, incoherent mess. After over a decade of different versions of The Memoir, I decided it was finally time to have the recordings themselves easily accessible. While I still firmly believe the The Anniversary Edition is the best way to experience Hammond’s story, I know these files have been long-requested. So here they are; preserved for all time. October 28, 1998 – Trespasser is released in stores around the world. Trespasser ended up being criticized and sold very few copies, even being called worst game of the year. While some see the game as a failure, we the community do not. Many people have come and gone during the years, spreading the love of the game. Even 20 years after release the community is standing strong. During our existence we have created tons of content for the game – levels, models, fan fiction and several tools to aid us in modifying the game and create new content for it. A patch called CE Patch brought us better modern OS support among other cool contents to inspire people to create content for the game many years to come. It is not only user made content the community have. During the years we have received original Trespasser content, including original documents, voiceover scripts, assets and early game builds, including long lost (cut) levels as Pine Valley and Plantation House. Update: Scallenger have released an Anniversary Edition of his Jurassic Time book, updated with some fantastic new art. You get find it on his Jurassic Time page. The most important content for Trespasser’s 20th anniversary is this 20th anniversary community level. The community have manage to work together and created this amazing piece of level. It can be played from start to finish and while it might contain some unpolished parts, it is the first time in many years the community have come together to work on a level. Give it a try and have fun! If used with the CE patch, you will get an awesome custom looking sky! For the 20th Anniversary Rebel did some cool work making a working crossbow. Of course this means we will have a contest. While we are unsure of any prices it will mainly be for fun and possibly some fun special forum role (if not already a member, join our forum!! 😉 ). There are both a standalone package using the ATX patch and a version of the CE patch made by TheIdiot. Ready, aim, fire! Do not cheat 😉 Take a screenshot and share your result on our forum! Over the years we have seen a few modding suites for Trespasser containing all the required tools to create your own levels for the game. First we had Trespasser CE (not to be confused with the CE Patch), and then we had Trespasser Twilight. Now we have a new, update modding suite – Trespasser Millennium. This was supposed to be a news post back in April but for whatever reason it was left as a draft. It is not common these days. In fact, it is a rarity. It’s been a very long time since anyone created their own fan site for this game however, our forum member Melber have made one. The website is still under construction, but give it all your support! For a few years now TheIdiot have released some versions of his Mega Jungle, a resource level that contain new content that other people can use in their levels. 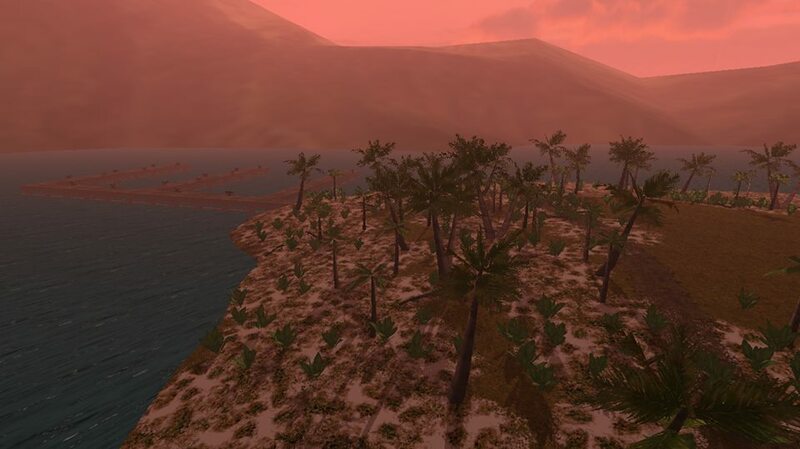 For the 20th anniversary, version 1.5 have been released, including “new usable Hawaiian Palms as well as the allosaurus I teased a while ago, plus a brand-new (but unfinished) willow tree, which I intend to eventually be part of a swamp-themed set of foliage. 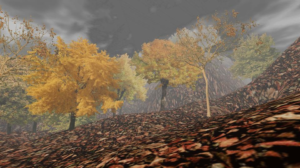 Additionally, the evergreens are now lower-poly so hopefully they won’t destroy your performance so much.”. A long time ago TheIdiot did a weapon sound overhaul mod for an unknown user and have now decided to release it to the public. This can be used with ATX and CE, please see their documentation on how to use custom made TPA files. Not to be confused with TPA Reader, TPA Player is what its name suggest – a TPA player. It will allow you to play Trespasser TPA files like a small media player. A simple utility for anyone who only wants to listen through the audio without export it. For the past few weeks we’ve had some experienced some issues with the site and forum, mainly were it is impossible to upload files over 1 MB. This apply to both regular members and the staff. This means it can be difficult to attach files to your forum post or that we can’t upload any new files to the site at the moment. Another very important issue found out recently is that you will get an error if trying to download any file from our download section. If you are in a hurry or desperate want any file, feel free to ask on the forum and we will make sure to help you out! Please have patience as these issues (and any other we will find) get sorted out. EDIT: These issues have been fixed. Happy download! Fall Lodge and other misc news! Welcome, to another program of TresCom News! There might have been an absence of news post but surely there have not been an absence of work in the community. Fall Lodge is a level with a small twist made by the community member Draconisaurus, crated for Halloween 2017. The level itself is not your typical Trespasser level. Its main focus is its type of mini game. 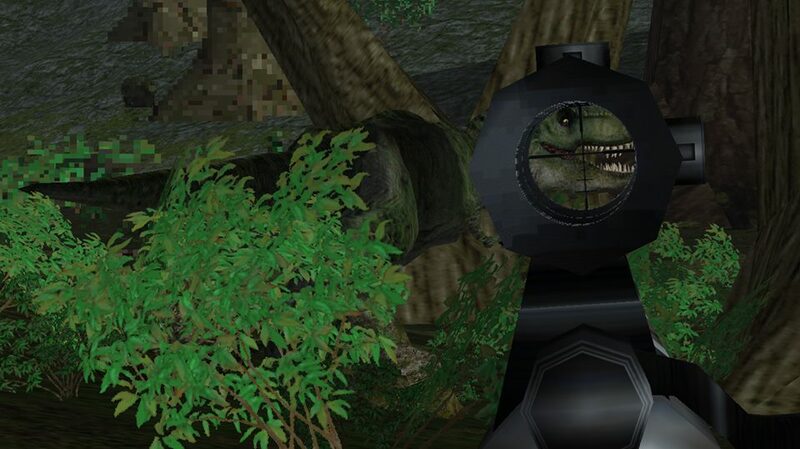 In this level your goal is to gain as high score as you possibly could by killing dinosaurs. As the level title suggest, it is set in a fall theme and possibly the first Trespasser mod to be released in this theme. Grab it now and get your own high-score. We want to hear all about it in the original forum post that you can find here. Our member Glitchhunter have over the past months working a lot with gathering all the information of early Trespasser information onto the Cutting Room Floor site. He has done some amazing work so far and I suggest you all to check it out. Trespasser Cutting Room Floor Page. Trespasser Cutting Room Floor Proto Page. I believe this is worth mentioning as well. Over the past year, members over at our forum have played their own online role-playing game with Trespasser. It is pretty popular among some of them and I also suggest you to check this out and join in over here. Return to Jurassic Park is still alive! Many years ago, the community received a bunch of official Trespasser assets. 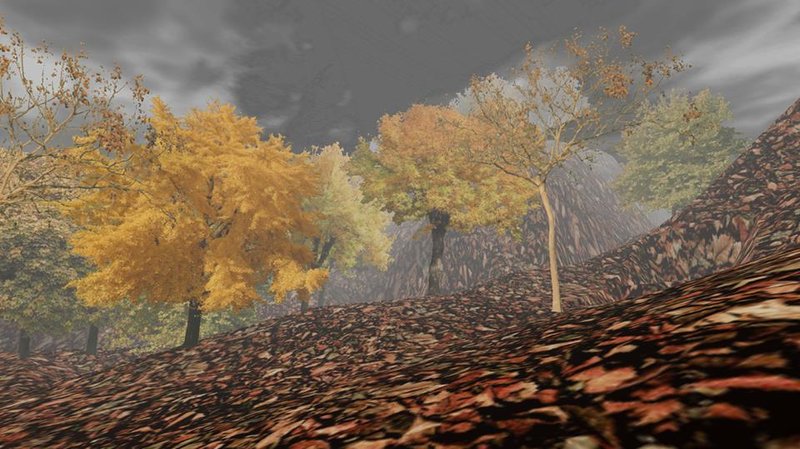 Among these files were an early version of Plains in 3ds Max format. 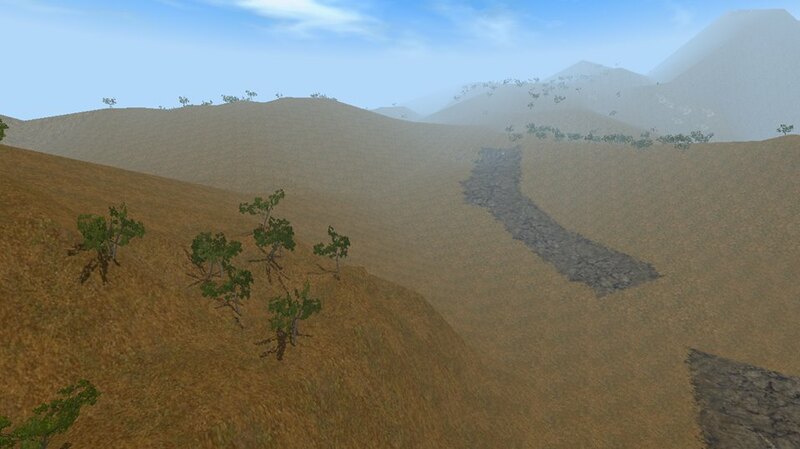 Sadly this file only had foliage and the Block House, but not terrain, or textures. The last few weeks, our forum member Draconisaurus have worked hard to make a terrain based on the height of the objects found in this 3ds Max scene. The result is really nice and it gives you an insight of what the level might have been at one point. Intruder: Isla Sorna Demo and Level download section updated! Some of you might remember Deagles4life’s work on remaking Trespasser in the Unity engine. He made some really nice progress and have now released a new Demo for it. The Demo can be downloaded from below. “The download contains both version 2 and version 3 which are listed as v.2 and v.3”. You can also find the original release post in this forum post. Out download section for levels have been increased with a lot of new (old) levels. It contains various work made in the past. Some have been released before and some don’t. Machf have done great work going though his files to find old and lost fan levels. As our download section have started to increase, work as began to make new subcategories for easier navigation. Updates on this to come.